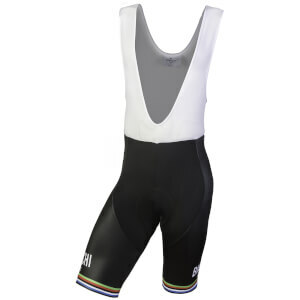 Bianchi Milano Legend cycling bib shorts feature an upper breathable mesh brace to pull moisture away from your body for quick evaporation. 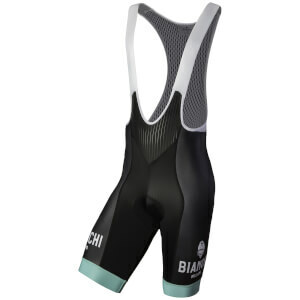 Bianchi-Milano Legend compression fabric supports your leg muscles and dampens road vibration. Made in Italy at the Nalini Factory. I found a tear after only my second use that could have been there from the beginning, or from a minor catch.